Providing you the best range of single spring single cartridge mechanical seal, multi spring single cartridge mechanical seal, metal bellow single cartridge mechanical seal, double cartridge mechanical seal and metal bellow double cartridge mechanical seal with effective & timely delivery. Our specialization in offering a distinct collection of Single Cartridge Mechanical Seal, We provide our range in readymade unit, which is easy for installation with saving of time. 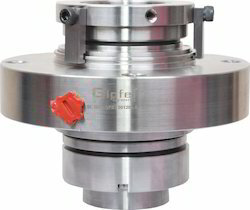 This Single Spring Single Cartridge Mechanical Seal are ready to install on any type of clear liquids. Such seal do not require adjustment in fitting due to factory pre-assembly hence avoid installation problem. Cartridge mechanical seals are the product of choice w¿¿¿¿¿¿¿¿¿¿¿¿hen reliability is a requirement. These products are proven, rugged performers in a wide range of sealing applications across industries. Cartridge Mechanical Seals are ideal for plant-wide standardization and save time with quick & easy installation. Such seals can be designed with single spring, multi spring, wave spring and metal bellow type as well as suitable for application hence offered in great variety with effective & timely delivery. Beverages, Pulp & Paper industries, Chemicals industries, Steel Making plants, Hot & Cold Water Process, Water and waste water Process, Sewage Water Process, Vacuum Distillation, Crystallization & Suspensions with low solids content Etc. 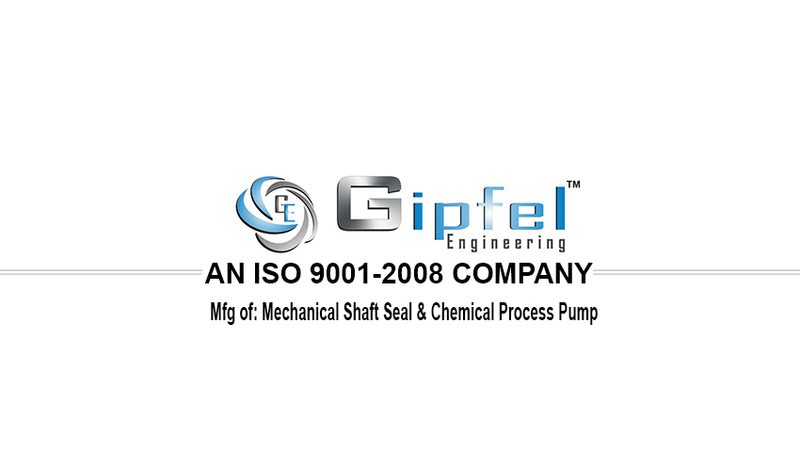 Our specialization in offering a distinct collection of Multi Spring Single Cartridge Mechanical Seal, We provide our range in readymade unit, which is easy for installation with saving of time. This Cartridge Mechanical Seal are ready to install on any type of clear liquids. Such seal do not require adjustment in fitting due to factory pre-assembly hence avoid installation problem. Cartridge mechanical seals are the product of choice w¿¿¿¿¿¿¿¿¿¿¿¿hen reliability is a requirement. These products are proven, rugged performers in a wide range of sealing applications across industries. Cartridge seals are ideal for plant-wide standardization and save time with quick & easy installation. Beverages, Process Industries, Petrochemical Industries, Pharmaceutical Industries, Oil & Gas Industries, Chemicals Industries, Refining Industries, Power Plant Industries, Solvents Plants, Steel Making plants, Chilling Plant, Hot Water, Vacuum Distillation, Hazardous Liquid, Process Pumps, Mixer, Biochemistry, & Other Rotary Equipment Etc. 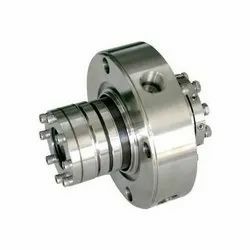 Our specialization in offering a distinct collection of Metal Bellow Single Cartridge Type Mechanical Seal, We provide our range in readymade unit, which is easy for installation with saving of time. 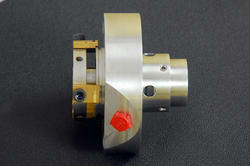 This Cartridge type Mechanical Seal are ready to install on any type of clear & hot application. Such seal do not require adjustment in fitting due to factory pre-assembly hence avoid installation problem. Cartridge mechanical seals are the product of choice w​​​​hen reliability is a requirement. These products are proven, rugged performers in a wide range of sealing applications across industries. Cartridge seals are ideal for plant-wide standardization and save time with quick & easy installation. Petrochemical industries, Oil & Gas Industries, Chemicals industries, Refining Technology, Power Plants, LPG Plants, Hazardous Liquid, Biochemistry & Process Pump Etc. 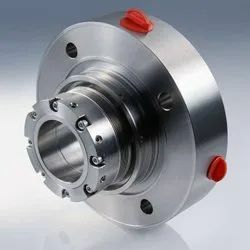 Our specialization in offering a distinct collection of Double Cartridge Mechanical Seal, We provide our range in readymade unit, which is easy for installation with saving of time. This Cartridge type Mechanical Seal are ready to install on any type of slurry application. Such seal do not require adjustment in fitting due to factory pre-assembly hence avoid installation problem. Cartridge mechanical seals are the product of choice w¿¿¿¿¿¿¿¿¿¿¿¿hen reliability is a requirement. These products are proven, rugged performers in a wide range of sealing applications across industries. Cartridge seals are ideal for plant-wide standardization and save time with quick & easy installation. Our specialization in offering a distinct collection of Metal BellowDouble Cartridge Mechanical Seal, We provide our range in readymade unit, which is easy for installation with saving of time. This Cartridge Mechanical Seal are ready to install on any type of clear & hot application. Such seal do not require adjustment in fitting due to factory pre-assembly hence avoid installation problem. Cartridge mechanical seals are the product of choice w​​​​hen reliability is a requirement. These products are proven, rugged performers in a wide range of sealing applications across industries. Cartridge seals are ideal for plant-wide standardization and save time with quick & easy installation.